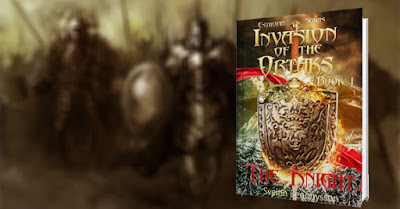 Invasion of the Ortaks is a medieval, epic, fantasy, and it is created for young adults and older. In fact, everyone who loves fantasy, and wants to be taken into lands of make believe. This book series tells the story of Esthopia, a continent of six kingdoms that is being invaded by a ruthless warlord from the south. It also tells the story of the Elves in Alfheim, and their difficult task, of fighting the evil forces from the Underworld, and keeping the darkness from overtaking the world of men. It is a story of war with a vast cast of characters, as they take on the task of defending their lands. Are the people of Esthonia able to stand against well trained ruthless military? Find out by reading, Invasion of the Ortaks.